While standing outside my friend's home waiting for her come out, I looked down and after a few seconds I saw a new world- a world of ants and other small insects. If I hadn't been concentrating, I would have taken it as a non-consequential world; it required focus to see it. There, among the bustling ants was one so small, probably a worker, dragging a sand grain twice its size. What caught my attention was the number of grains reduced by one every time one of these tiny workers snatched one up. Someone may argue that one less grain of sand is hardly a change, but that depends on one’s perspective. The bottom line was there was a change, no matter how small; there still was a change. It came down on me; we meet people; we hear things, speak and act on things, it does not matter how small they may be; they bring about change, we may not even realize it but the change is there. When I walk every day, I see people and know each person is a soul striving for fulfillment. Some of us look for it in the wrong places; we seek it in what people say about us, we search for it in what people declare as "perfect". But this validation is really someone else's idea of perfection, and because most of us don't even know ourselves, we rush in every direction they tell us, to satisfy our souls' ultimate need. I live in a society that affects our subconscience. We are made to believe we aren't enough and that we need to talk, dress, and act, look a certain way; and then, we will be perfect. As a result, we do not realize that we each were born with something unique about us. But society is sabotaging us. We look for ourselves in material things; we look for our worth in the number of followers we have, as cliché as it may be. These things that surround us are dragging off the sand grains in our lives hence changing our own views and beliefs, self-love, self-respect, and self-worth. As long as we don't know who we are, where we come from, what our purpose is and where our purpose drives us, we cannot find contentment in this world. My grandmother raised me. That woman radiated respect, gracefulness, and wisdom without having to raise a hand. I asked her this one time, how she could command such respect and her answer was simple. She told me she knew herself in and out, and no one would ever intimidate her nor would she ever seek validation from anyone. I did not understand it back then but I do now. Being raised by such a woman propelled me to seek solitude. yet growing up and crossing paths with so many people, I've learned that although we are all different, we seek the same thing which is soul satisfaction. My grandmother found that in herself. We need to find ourselves and understand who we truly are. Yes, life is hard and things happen that force ﻿﻿﻿﻿﻿us to ask ourselves questions that can shake the foundation of who we believe to be; the responsibility we have is to learn and improve, always. Outside forces like the media, in all its glory, tell us what we should be; but we need to know who we are and build strong unshakable foundations of ourselves. So our souls won't gradually reduce, speck by speck, like grains of sand carried off by ants. Katleho Mpopo is a 22-year-old student at the National University of Lesotho, in Roma, Lesotho, where she studies Economics. 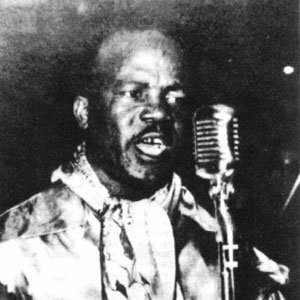 Katleho grew up in rural Khukune, which is in the Butha-Buthe District. Her grandmother raised her, "along with my 13 other cousins, aunts and uncles while our parents went about finding work." 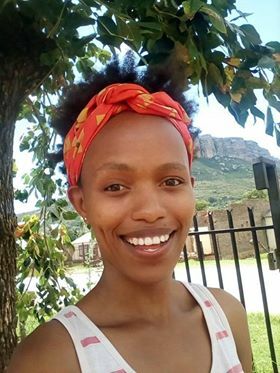 When this young Sister realized that in her community, the only affordable food offered by the food industry is junk food, Katleho began plans to offer health and wellness food. "Basically, we consume a lot of junk food just because it is cheap, cheaper than healthy food. That's also why I am studying Economics at NUL; so I get to understand how the company can be competitive, how it can survive and thrive even in times of recession."